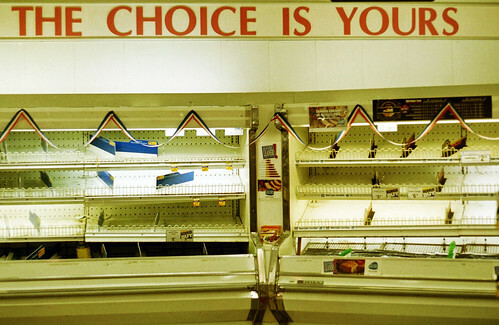 The problem with Robert Appelbaum’s book Working the Aisles: A Life in Consumption lies with me. I saw the title. I read the blurb. I looked at the cover, showing a trolley being guided through a supermarket. And I wanted to read the book. Consumption plays a pivotal role in my life, in the life of all of us. We are guided, shaped and sometimes repelled by consumption. I know that I have bizarrely complex feelings about supermarkets. I’m sure that is the same for many of us. There are some that seem so hellish that I can hardly bear to spend five minutes in them. There are other supermarkets that I could spend hours exploring. And not just because of what they stock, but also because of the welcoming light, the smells and sounds, the reassurance of the place. The routine. I find shopping malls alluring. They are a great way to kill a fair few hours. They seem to have their own ecosystem. You can lose time, and lose yourself in them. I find them stimulating at the time, but often leave feeling empty, particularly if I leave empty-handed. I understand that consumption is built around tricks. The best supermarkets and shopping malls are designed to guide you around and make you spend without thinking about it. There are the most obvious tactics – 3 for 2 deals suggesting you’re getting a bargain, the smell of baking bread, a lack of clocks. There are also design elements. The classic mall design of two straight thoroughfares, one on top of the other, ensures that no matter where you start, you cover the whole mall before you leave. I know I am being duped, and sometimes I know how. But I also find these are places where you can, if you look close enough, find some sort of human connection. It might be the person manning the till who slows down when they see you are struggling to pack quick enough, who offers to help, or slips you a voucher to help pay for your shopping. It might be the smile of a shop assistant when you offer the first “Thank you” they’ve had all day. Maybe it is in those interactions with other customers. Opening a door. Letting someone else go first. Chasing after the guy who left his wallet in the coffee shop. This is Appelbaum’s mantra throughout the book. This manages to feel profound – a fundamental understanding of the cold, dead heart of capitalism. This manages to feel trite, obvious – who doesn’t realise they are being conned and manipulated by the world of consumption? This also manages to feel wrong. The corporations behind consumption almost certainly don’t care, but the human faces of consumption just might, be it through pride in their work or just being a decent human being. It isn’t that simple. Appelbaum sees true love, in his eyes, in a French restaurant. But if They do not love you is to hold any water as an idea, then perhaps we shouldn’t be naive enough to think some people do care. It is easy to get caught up in the romance and theatre of a French restaurant, and forget that it is just as manipulative as the till clerk briefed to ask you how your day is going. Consumption is all about making us part with our money, after all. As I said. The problem lies with me. This wasn’t the book I was expecting. It touches on consumption, but doesn’t really unpack the complexities behind it. Instead, it uses consumption, and the motivating factor being consumption – desire – as a hook to hang Appelbaum’s episodic memoirs. As a memoir it is fine. There are some funny stories, and some harrowing ones. His recollections of growing up in the consumer dreamland of post-war America and tales from making ends meet with a variety of strange jobs are fun reads, if not really enlightening in terms of the wider themes. His tales of the woes of academia didn’t work for me. I can understand how being a writer and academic can be hard and precarious work, but I’d rather do that sort of work for a crap wage than, say, work on a supermarket till all day. Ultimately, I’m not sure someone who is paid to write books, who can take a month off of work to drive around France buying up wine, who is able to travel to world through their vocation, is really the right person to write about consumption. Where is the story of the till operator, the warehouse hand, the meeter and greeter? So, really my problem is that this wasn’t the book I desired. And it left me wanting more than ever to find that book. A book that doesn’t yet exist. Or maybe it does, and I just haven’t found it yet. They may not love me. But I want to know how they don’t love me, and why. The desire remains. That’s how a life in consumption gets you, right? I wrote this last weekend. Soon afterwards I headed to the supermarket. As I unpacked my trolley the guy at the till greeted me, asked how I was. I said I was fine and asked how he was. He told me he was hungover and smiled. I figured this wasn’t part of the script, it was more that he saw a similarly tired guy and was making some sort of vague connection, even if just through small talk. He then spent most of the time I was at the till trying to sell me the supermarket’s new loyalty scheme. I was polite in return, played the game, aware that I was as much a part of the script as he was. But he was relentless. He persevered, kept finding new angles to try to sell me on the scheme, in the face of my non-committal replies. He began to sound almost earnest with it. He was trying so hard, I began to believe that he actually believed in the scheme. I wanted to tell him that I wasn’t some sort of secret shopper. That he didn’t need to give me the hard-sell. That he could just quietly go about his work, and nurse his hangover. It was a perplexing scene. There was a strange, unsettling dynamic between the supermarket, the employee and the customer. We probably all played a part in making the scene strange and unsettling. That is consumption, I guess.